New Natural White Solar Pathway Light Shines the Way! 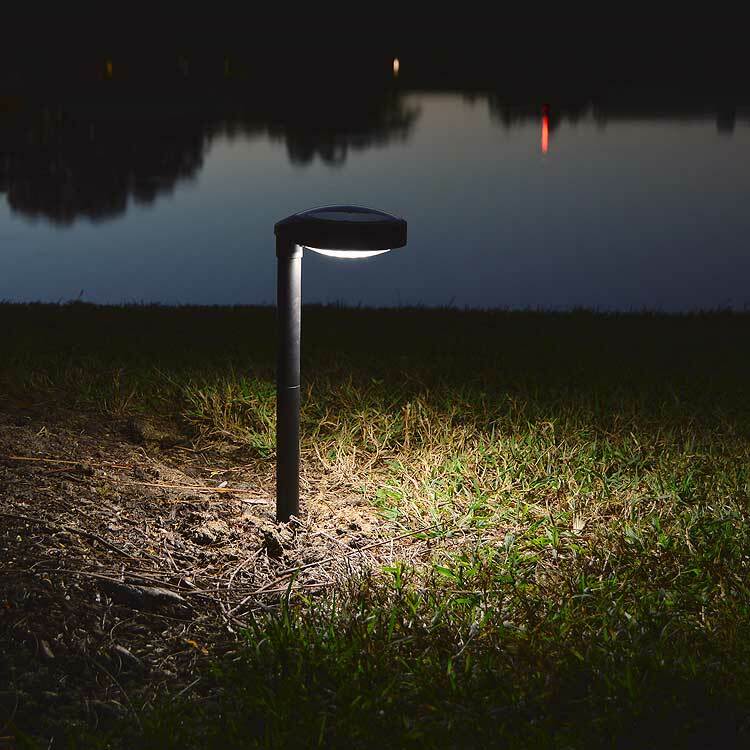 Our new DISC2 Pathway Solar Light makes free light work for you! All the light is directed down to light your way. New battery protection circuit allows 3 years or more of battery life. The solar panel is mounted under glass to achieve up to a 20 year life span. Forget your old one-season (if you're lucky) solar lights bought from discount stores. They're history. free-light solar lighting products have always been the best in the business. Now they're even better. We listened to your suggestions. We improved lighting time, We shortened charging time. We increased light output. We improved light distribution pattern. We improved battery life. We changed to aluminum support posts. We improved spike durability. Solar the way it should be. Just add sun. See DISC2 solar pathway light. Add it to your home, cottage, office outdoor improvement list and let's get the sun working for you!